MLM Social Media Conversation Tips. Are you using social media for your home based business prospecting? 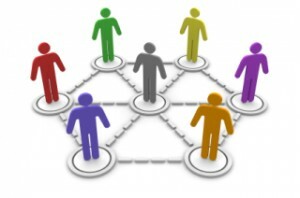 Is there a certain social site you like for your network marketing efforts? Social Media has been around now since about 2003 with Myspace and Plaxo. Both are still around today. But many people still do not understand how to communicate to their potential prospects in social media. It is not rocket science. Do what you know to Do – and master it. It is much like what you do and say face to face, and if you stick with that general rule, you will find that your communication on social media will be an asset to you and a pleasure with others. It will PULL people towards you out of curiosity, and out of appreciation of your recognizing them. Too often we have “Agenda Driven” Communication, and this is a huge mistake. You must be focused on the agenda of the prospect- not yours. It does not matter what you want in social media. It is a “reverse communication” zone. You reverse your message from being focused on you, to totally being focused on the prospect. It works out better that way.And people will respond to you in a much better and more magnetic fashion. How do you start a conversation on social media? Many people are on facebook, pinterest, twitter, and google+ , Instagram, LikedIn and Youtube today. But many still struggle engaging a powerful conversation that MOVES prospects towards you and PULLS them in. This will get anyone’s attention. You are flattering them in a way that they will want to connect with you and from that you can then start adding Value to their life with your posts and images. You can then share them, tweet, them, and pin them so they can see that you are promoting them. Tis will not only get their attention, but also they will appreciate you. It lets them know you want to connect on a more powerful basis with them and learn from them which anyone will be drawn towards. Looking to someone as a Resource is a powerful way to Compliment them and get them to start a conversation with you. It is also a great way to create a connection that they will want to stay connected to, versus just on occasion. You need to become a Success Resource, but also create the conversation with prospects that they are also a resource for many. This will gie you a chance to really get to know them in a way that will become more personal, and you can talk to them about Success and Leadership by asking questions. Then you can later ask them for help in locating some “talent” in their city they live for you. They will listen to what you have to say. These are simple but powerful ways to connect and engage social conversation in social media or your mlm network marketing home based business.